Ignovation: Revealed: The Annoying Thing Facebook Is About to Do with Your Phone Numbers and Emails! Revealed: The Annoying Thing Facebook Is About to Do with Your Phone Numbers and Emails! Today, temporarily, some users with access to Facebook's Power Editor tool got a glimpse of a new targeted ad system the social network is prepping to roll out next week. Inside Facebook is reporting that a powerful tool granting premium advertisers access to users' phone numbers and email addresses, as well as their user ID, has been in development, according to sources familiar with the company's ad plans. Find out what they want to do with your info. According to a screen shot of the new "Custom Audiences" tab, which was briefly live earlier today, personally identifying information will be hashed for safety's sake, as well as yet to be determined "Custom Audience Terms." Again, it starts with a customer list that a business has already created - for example if I've given my email address to the bookstore on my block so that I can hear about future sales and events. Businesses will be able to upload those lists of email addresses, phone numbers, and user IDs to Facebook, though the data will be hashed first so that Facebook doesn't have access to that information. Meanwhile, Facebook's user data will be similarly hashed, so the company can compare both sets of hashed data, creating a list of users whose contact information matches up with what the advertiser uploaded. After that, businesses will have the option target their ads at that group, or they can further target their content towards a certain demographic (say, females between 25 and 45) within the group. The simplest use case: Most businesses have loyal customers who aren't Facebook fans, so they can create an ad for those customers asking them to become fans. Advertisers can also offer deals—an auto repair shop could tell customers that they'll get a free oil change if they become a fan. It's applicable beyond brick-and-mortar businesses too—an app developer could target lapsed users with an ad outlining the features in a new update. Update:"Facebook reached out to clarify the type of data that advertisers are given; it's not actual phone numbers and email address, it's hashed data presented in list form. What Facebook does is overlay their hashed data with its hashed data and creates an anonymous targeting cluster of those hashes that match. 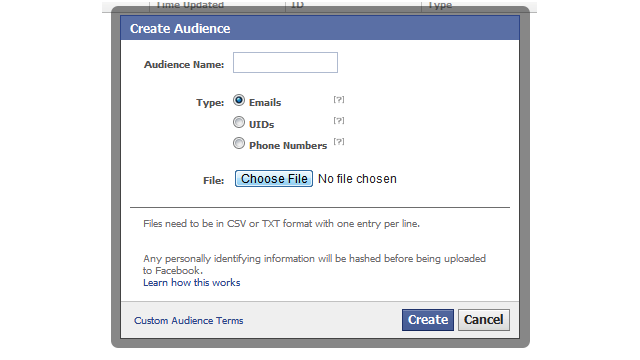 Advertisers only know how many "matched" people they're reaching on Facebook with their ad campaigns, nothing else. 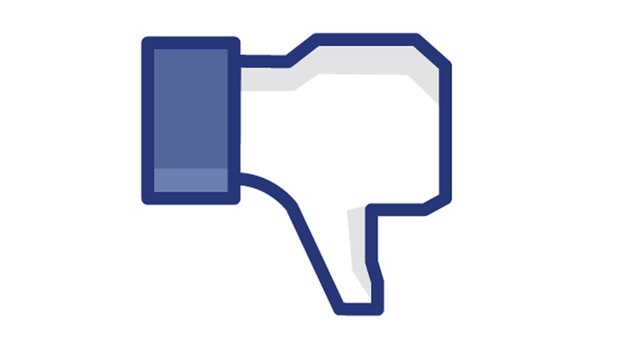 They don't get any new data from Facebook; Facebook doesn't get any data from advertisers."